Once upon a time, just over 6 years ago, Ben Snow, a young English blacksmith, arrived in South Africa. His motives for the move were our sunny shores and his then South African girlfriend, Lisa. Never in his wildest dreams did he think he would become a king. After much discussion around the many braais to which Ben was invited, he saw a gap in the market for a compact, stainless steel charcoal burner. He imagined that this burner would be his bread and butter line and he could then go on to creating ornamental wrought iron ware. But alas, that never happened. 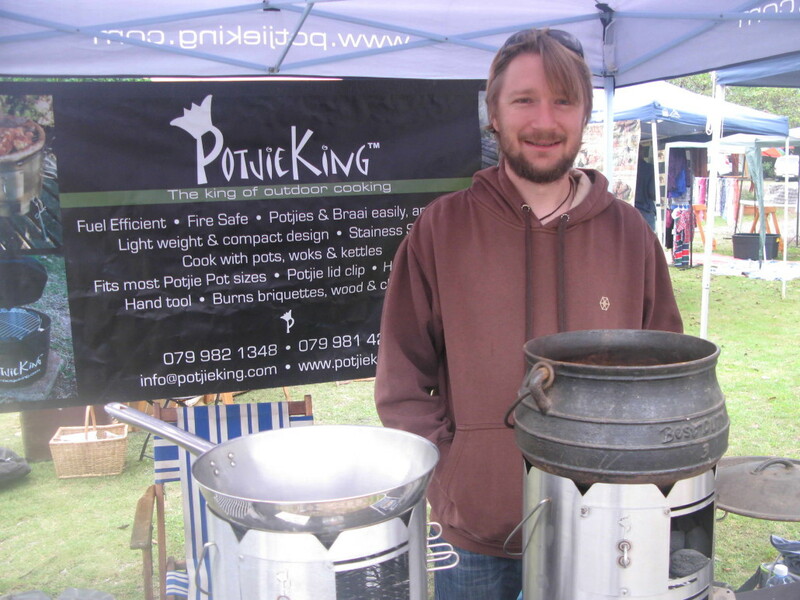 The Potjie King’s burner has become so popular, exporting to Australia, Namibia and Germany, that he just manages to keep up with production. And oh yes, the story doesn’t end there. Ben became a king, married the beautiful Lisa and together they have cute Princess Isabella. They haven’t found a suitable palace as yet but a happily ever after is predicted.